A common question that you may have about using legally Visual Studio is which are your options. As always happens with licensing, it is a somewhat complex subject with quite a lot of options, but the good news is that if you are an individual developer or a small team, you can use all the family of Visual Studio products for free. I am not a lawyer, so validate all this information with a lawyer or legal department. The purpose of this post is to provide you the pointers to the different options. Visual Studio Professional Edition and Enterprise Edition are paid versions, while the Community Edition is free for some scenarios. For non-enterprise organizations (meaning those with ≤250 PCs and ≤$1 Million US Dollars in annual revenue): Up to five users can use Visual Studio Community. Free Stakeholders: you can have unlimited free users with “Stakeholder” access level, with a limited number of features (create, edit and search work items, view backlogs and boards, approve releases, etc.). This access level is not intended for developers (they cannot manage source code repositories). Free Users with “Basic” access level. These can do more things and this level is intended for developers. You can have up to 5 free users with “Basic” access level. Paid Users: If you need more than 5 free users for your team, you need to pay for more users, which get more things than the free users with “Basic” access level, such as a Team Foundation Server CAL (Client Access License) to access an on-premises Team Foundation Server. For individuals or teams up to 5 developers, you can use the free Team Foundation Server Express, that you can download here. For teams with more than 5 developers you need to pay for the additional developers as explained here: Buy access to Team Foundation Server or TFS Test hub. Etc. You have the full list here. 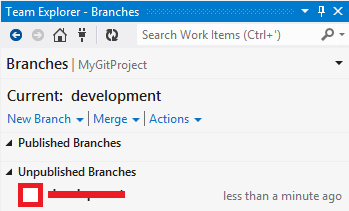 It happens that the name of the assembly and/or the folder can change from one version of Visual Studio to the next (and maybe from one update to another in the same Visual Studio version). Even the interfaces can change, but that’s another story. 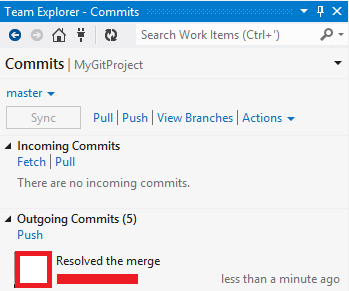 The next five articles / samples that I have created about Team Explorer extensibility are about getting the information contained in the Git-related pages of the Team Explorer of Visual Studio 2013. 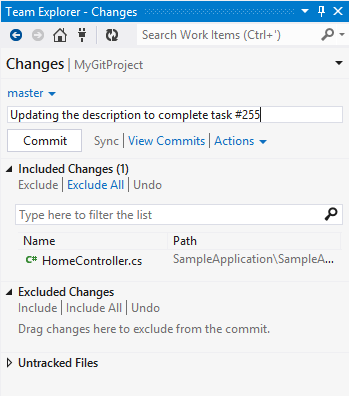 The two first samples that I have created about Team Explorer extensibility are about getting the information contained in the Builds and Pending Changes pages. In the Overview page, I have added an image from the MSDN documentation to illustrate the several client models, and clarified that you need the Team Explorer to get the client libraries even if you want a standalone application to connect to TFS. 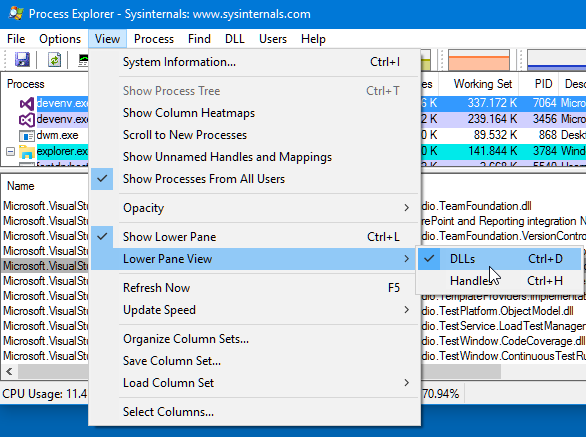 In the Downloads page, I have added the links to download the Team Explorer packages for Visual Studio 2005-2013, which, by the previous paragraph, are required to get the client libraries for standalone applications that don’t extend the Team Explorer. 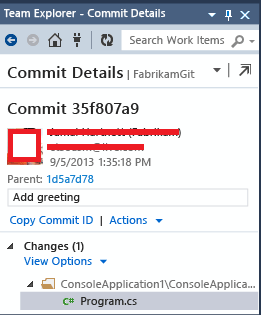 The client model object assemblies and namespaces are quite confusing because some are Microsoft.TeamFoundation. * and some others are Microsoft.VisualStudio.TeamFoundation. 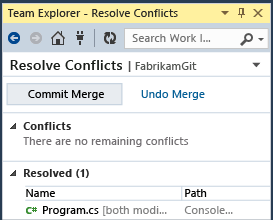 *, and are located in at least three folders (ReferenceAssemblies\v2.0, ReferenceAssemblies\v4.5, and PrivateAssemblies of the root folder Program Files (x86)\Microsoft Visual Studio <version>\Common7\IDE). 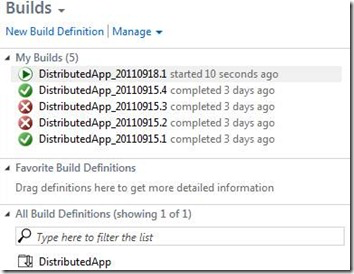 The MSDN documentation for Visual Studio 2012 has a nice mapping between assemblies and namespaces. 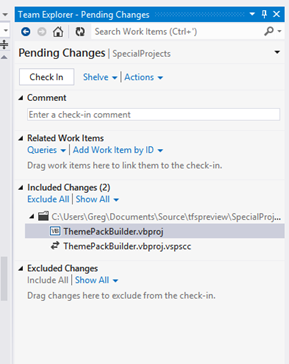 In the Articles section, I have added a couple of articles to extend the Team Explorer of Visual Studio 2012 / 2013, and an impressive collection of 56 articles about TFS API by MVP fellow Shai Raiten. In the next posts, I will contribute myself explaining how to get information about the different pages / sections of the Team Explorer.